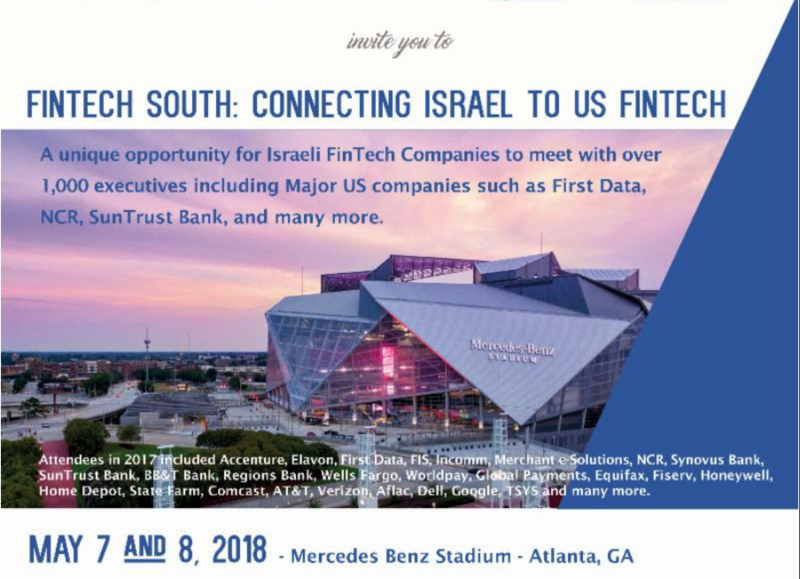 FinTech South, May 7-8, 2018 in Atlanta, GA, is a unique opportunity for Israeli FinTech companies to meet with over 1,000 executives from Atlanta based international FinTech corporations. Among the companies registered to-date (4/10/18) you can find: Apple, Elavon,SunTrust Bank,Wells Fargo Bank, Porsche North America, SecureWorks, Amazon Web Services,Fifth Third Bank, at&t,Verizon, NCR, Equifax, First Data, FIS Global, Fiserv, Worldpay, EY, Cardlytics, Cisco, 154 Advisors, A&L Goodbody, AAMCO, Aaron’s, Accenture, AgileThought, Bank of the West / BNP Paribas, CapTech, City of Decatur, City of Sandy Springs, Deloitte, Federal Reserve System, InComm, JPMorgan Chase, Kabbage, KPMG, LexisNexis Risk Solutions, Merchant e-Solutions, PwC, QTS, RaceTrac, Thomson Reuters, TransUnion, TSYS, TTV Capital, U.S. Bank, Verint, and many more. We invite Israeli FinTech companies, from card processing, electronic billing and multi-channel solutions to the banking industry to personal financial planning, data and risk analytics and anti-fraud, to join us in the international pavilion at FinTech South! To view more information about the conference, including the complete schedule and conference speakers, click here. Register through Conexx for a discount on tickets! Special hotel accommodations have been provided by Homewood Suites by Hilton Atlanta Midtown. Click on their logo below to be brought to their website. 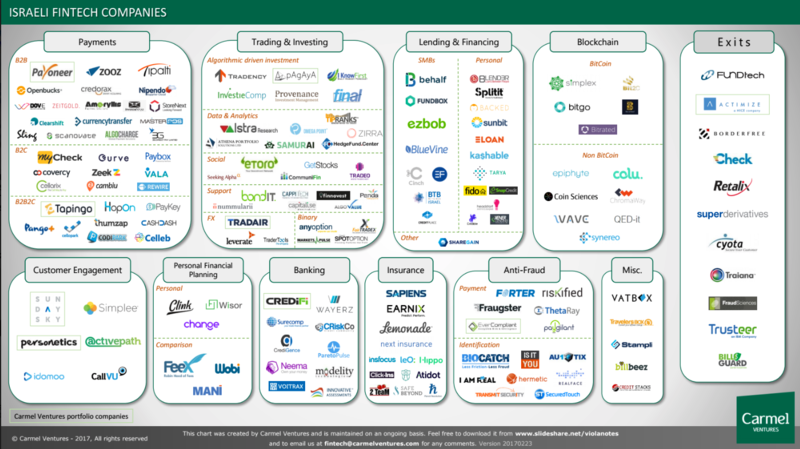 You will be amazed when you view a map of the ecosystem to learn that Georgia FinTech companies generate over $72 Billion of annual revenues! 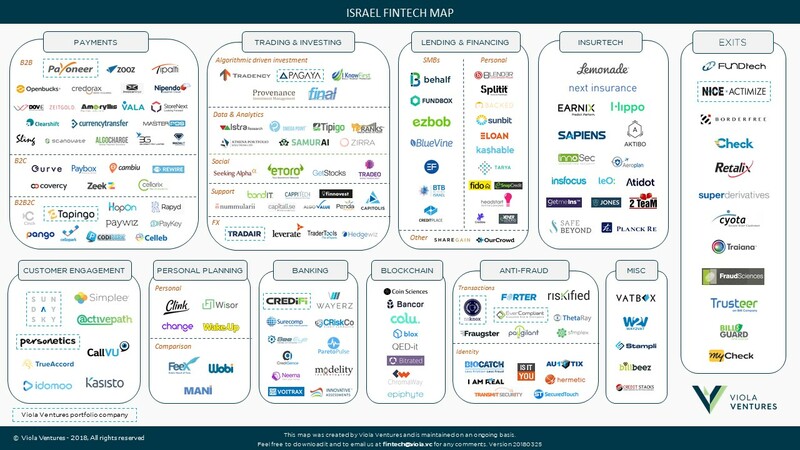 Israel is home to over 400 FinTech companies ranging from startups to mature companies some having already been acquired by major multinationals. The industry map below illustrates some of the areas Israeli companies excel.